Style Coaching | What would Audrey wear? What Would Audrey Wear is not only a blog, but a style coaching business. I specialize in assisting professional women aged 20-60 communicate effectively with their wardrobes, helping them to get that dream job, feel confident representing their business, or enable them to feel authentic with who they are and how they present themselves in all area in their lives. I have a background in psychology and a lifelong love of style: combining my two passions gives you an advantage to accessing non-verbal cues indicating your professionalism, trustworthiness, innovative mind, creative passion, and whatever else you wish to communicate with your wardrobe. First impressions are everything in business, and communicating your worth non-verbally is vital to get ahead. I work with each client’s lifestyle, taste and budget to create a wardrobe you love and feel confident in, so you can take on the world! and which to purchase in order to complete your wardrobe. This first step is crucial in creating an ideal wardrobe for your body and lifestyle. your personality and your lifestyle, it’s time to go out and get it! pieces that will make your style sing. consultation with you to suit your company’s specific requirements. Workshops can also be customized to suit (fee negotiated upon request). access via email for a limited time. On-site AV facilities required. about 2-3 hours total, and there must be 5-15 people. 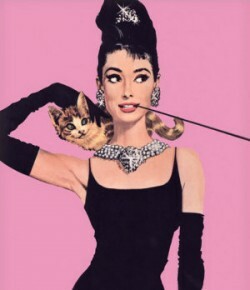 Pingback: September Bag GIVEAWAY | What would Audrey wear?